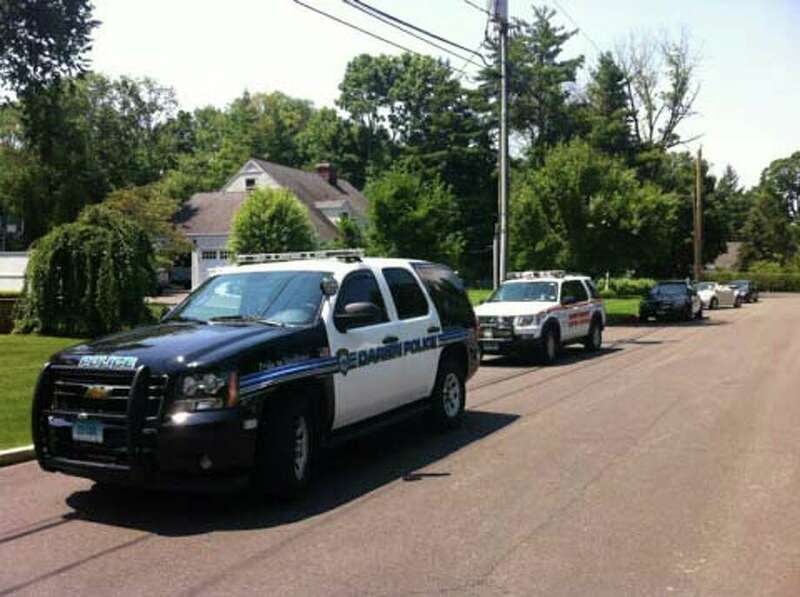 Darien Police responded to Mansfield Place Wednesday morning for a reported drowning. Photo by Thomas Michael, July 4, 2012, Darien, Conn. The state medical examiner's office this morning ruled the death of a Darien woman found in her in-ground pool July 4 as an accident. After conducting an autopsy, it was determined the death of Amelia McCann, 45, was caused by asphyxia, or a severely deficient supply of oxygen, due to submersion in her in-ground pool. The autopsy results showed no sign of foul play, confirming the police department's initial report that her drowning was accidental. Officers were dispatched to the home after receiving a call at about 10:07 a.m. Wednesday from a man stating that he had found his wife submerged in the family's in-ground swimming pool at 2 Mansfield Place. Police sent to the scene performed CPR and the woman was then transported to Stamford Hospital, where she was pronounced dead. The Colonial-style home at the corner of Mansfield Avenue is owned by Richard McCann, 44, and his wife, Amelia. Two police cars were parked outside the Mansfield Place home until about 12:30 p.m. Wednesday. Officers gathered in the backyard near the pool, which is gated and can be seen from Mansfield Avenue. The neighborhood, on a cul-de-sac, was quiet on the July 4 holiday. Only a few cars drove by. One neighbor across the street came out to walk his dog, but declined to comment. Another neighbor, saying he wanted to respect his neighbors' privacy, also would not comment. Down the street, a resident said she was unaware of the incident until the afternoon. She had not spoken to the family recently, but confirmed the couple has three children.